It's me. I'm the one. I'm sure I'm not alone but I've never met another, and if they're keeping quiet then I don't blame them; I've only ever encountered scorn, ridicule, condescension and "How can you be a music FAN, let alone a [snigger] music writer?" I'm the one who doesn't like Dylan. How come? Well, I just don't find his music interesting or innovative - his folk-rock is simply watered-down folk; his country-rock likewise. And his hoarse, whining voice does nothing for me. It's not that I find him 'bad' or 'awful'; I just find him boring, that's all. Perhaps my problem is less with Dylan himself (who seems agreeably contrary and sceptical) than with the whole hullabaloo and blather that seems to surround his music like a troop of bodyguards. In my humble, flakjacket-wearing opinion Bob Dylan has been mythologised to a degree disproportionate to his musical accomplishments. His songs have been weighed down with interpretations and importance based on a belief that if it's Dylan singing it then it must undoubtedly be profound and poetic. No other musician has ever been as unquestioningly deified as he has; this surely can't be healthy for music. For instance, I despair at the annual push to crown Dylan Nobel laureate for Literature, and I sigh at academics like Christopher Ricks calling Dylan 'the greatest living user of the English language' when in fact his lyrics are no more poetic or deep than in most other rock songs. If he's not trying unconvincingly to be Biblically allegorical ('All Along The Watchtower') or enigmatically profound ('Subterranean Homesick Blues'), then he's writing clumsy lines with laboured rhymes. My favourite is when he sings in 'Sara': "Now the beach is deserted except for some kelp" - can you guess what the rhyme will be? Or do you need some... assistance? I happen to believe that the cult of Dylan (the popular image of him as a mysterious, revolutionary singer-poet) has actually had a malignant and destructive influence on music. Far from encouraging anything subversive, free-spirited or progressive, Dylan-worshipping was the first step towards the conservative, closed-minded and snobbish attitudes that have become the norm in rock music today. Even I, Dylan-doubter, am willing to admit his one genuine positive contribution to music - he popularised the idea of writing lyrics about subjects other than holding hands with your baby. Post-Dylan, songwriters became more contemplative and questioning. The downside of this, though, is that most rock and pop singers now consider themselves to be 'artists'; to be a mere singer (for example, not writing your own lyrics) is to be looked down on as a soul-less puppet. This results in pretentious would-be poets like Jim Morrison, humourless preachers like Bono and the whole Live Aid/Live Earth/Rock The Vote concept of stars-with-a-conscience. Every time a charity concert patronises you or a celebrity cries over this week's cause, think of Dylan - the (unwitting, perhaps) role model for all this. The singer-as-poet idea that Dylan inspires has created a shameful snobbery towards pop music. We sneer self-righteously at talent-show contestants and (like in John Carney's film 'Once') romanticise bohemian buskers. Yet both, like every performer, are ambitious and doing it for the recognition, the money and the love of music. But we still cling to the pretence that one singer is more 'authentic' than the other - based mainly on the fact that one simply presents an image of being authentic. 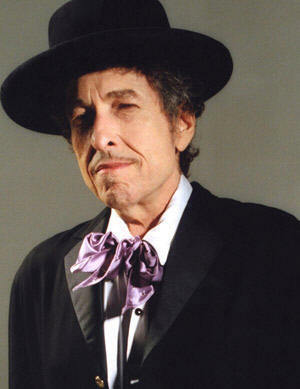 Dylan-worshipping is symptomatic of a general sickness in the state of rock music. It's no coincidence that the truly innovative music forms of the post-'60s era (such as glam, punk, dance and electronica) don't give a hoot about being authentic or not - see how John Lydon laughs off the idea of 'selling out'. These acts, especially in dance music, happily chop up old sounds and disrespect old heroes. By contrast, rock's obsession with being 4-Real means that it has become enslaved to its own tradition and has lost all sense of iconoclasm. We're obsessed by dead heroes (Kurt Cobain, Jeff Buckley, Joe Strummer, Ian Curtis, Jim Morrison) and possible resurrections (The Smiths, The Stone Roses, My Bloody Valentine), and the world's most popular live bands are still U2 and The Rolling Stones, just like twenty or thirty years ago. In such a context, how on earth can innovation be possible? Rock today is inherently conservative and nostalgic, and there isn't a great difference in mentality between listening to James Blunt on classic hits radio and listening to Nirvana and The Pixies on daytime indie radio. Ireland seems to worship Dylan more than anywhere, if we are to judge by his influence on our native acts. We are the world's leading producer of male acoustic folk-pop singer-songers in standard uniform of stubble and unironed T-shirts; 'one long Grafton Street of busker after busker', this writer once called it. Whatever subversive power Dylan may have had is long gone because he's now a figurehead. In rock music terms Dylan is The Man and we should be subverting him. Rock music is stuck in a rut. New guitar bands tug the forelock to heritage acts of two or three decades previously, with no pretence of innovation or transformation. The glorification of authenticity has made new bands unwilling to take risks for fear of being seen to sell out, which for rock snobs is the biggest sin of all. And too many concerts have become places of worship rather than entertainment, where performers demand reverential silence and 'shushers' in the crowd repress any fun or excitement. In other words, rock has become puritanical, conservative and mistakenly obsessed with authenticity, and I believe that this is Dylan's real legacy. What are the chances that the rock world will follow the man's own example and become Judas to the Church of Bob?